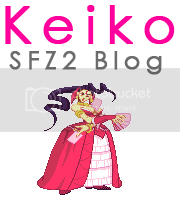 Welcome to the Street Fighter Zero 2 Blog! Here you will find many combo related material of the game and some Glitches or important Gameplay notes as well. For those who doesn’t knows me, i’m Keiko and i’m the only person behind this project. I’ve been working solely on this website and videos for many years now. My interest for combo exploration and producing content for Fighting Games begun at 1999, when i had only 13 years old. My first steps in the video making were recording solo and random clips on VHS for many different fighting games of that time, mostly Alpha games and Fatal Fury games. In 2001 with other people of my local community that were interested in combo videos started to worked in a very ambicious project for one of our favourite games at that time, KOF’97. We recorded 30 minutes of footage using the PSX/Saturn ports and then put it all togheter in a video. This one was never officialy released on a website or something, we gave free CD copies to our arcade friends as a gift and that was all. 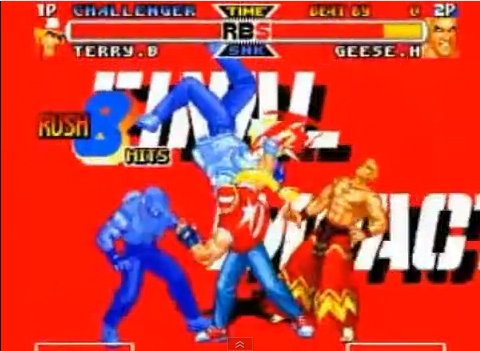 Previously to that project i made some Combo tapes for Fatal Fury Real Bout Dominated Mind and SFA but never mannaged to capture them, acquiring that kind of technology back in the day was really hard. Due to not having the appropiate hardware (a powerfull PC for example) and knowledge of video editing, many of my projects were put down to rest for a indefinite period including my first Alpha 2 “combo video” dedicated to cover SFA2 Gold Cammy Combos/Links/Stuff for PSX. 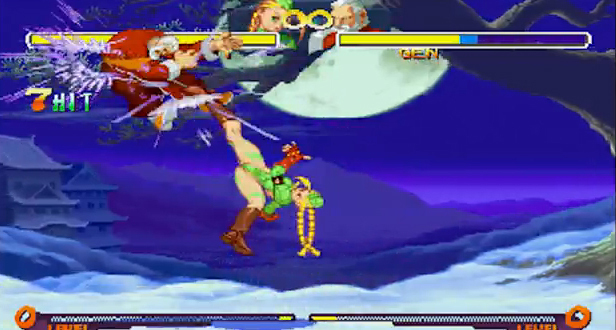 So, that “unreleased” Cammy Tape vid was the seed of the upcomming Alpha 2 videos to come in the future and that you can now see online in my Youtube Channel or around this website. Years passed and i could finally got a decent computer and also the emulation world and video capturing methods were way too better and accesible giving me the tools i needed to start working on combo videos again. I had been really influenced by Xenozip’s SFA3 VC Clips format, so taking his concept, i wanted to do something similar but with my personal favourite game, SFA2 and the CC’s for all the characters in the game, including SFA2G Cammy. When i was finally done with the characters Custom Combo videos, i wanted to expand the whole stuff a little bit and started to work on my A2 Character combo Reviews and the Impractical Combo Video series and i still currently working on them and that’s the main purpose of this website, to gather all my A2 combo material togheter and that’s what you will mostly find here, combo videos, nonetheless some gameplay stuff as well if i feel that it needs to be posted here. This game really needed some love, and i wanted to share my personal experiences, knowledge and finds with the few people who still play this game nowadays, we are a really small community but very active on places like GGPO, so if you’re interested in evolve your competitive skills in this game maybe that is the only place you can play and learn it by yourself. Like i said before, my goal with this website is to collect all the Alpha 2 combo content i produce but you can also expect some Street Fighter Alpha and Street Fighter Alpha 3 stuff as well in a minor degree. Regarding this topic, and for those who doesn’t really knows what i’ve been doing, i’m working on three different video series for the game. Character Custom Combos Videos: Focusing on the CC potential and their possible different variants of each character on the rooster. Project currently finished like 2 years ago and containing 19 Volumes in total. Character Combo Reviews: A collection of natural RFWA and Links Combos. The purpose of this series is to explore the combo potential of the featured character under normal gameplay situations and list them all in a comprehensive transcript for research and character combo mechanics understanding purposes. Project being under development, currently 6 Volumes and 3 Extra videos where released. Keiko Combo Video Series: Impractical, situational and glitched combos using Tool Assistance to break the limits of my human hands and focus on many crazy ideas i had on my mind without any kind of possible barrier. Also some glitch or gameplay videos can be found here. Being this said, don’t expect many in deep or highly technical articles about the game, why? there are many reasons for that. The first one is that i’m not a english native speaker and it’s really hard for me to write something understandable and educational at the same time, it takes me a lot of time and effort, it’s hella stressing for me to do so and currently i don’t have too much free time on my hands. And second i’m not very good at transcribing my thoughs in a paper, not even in my native language, so that duplicates the time i have to spend writing an article and right now i don’t have time to spare on it. My explanations and transcripts are writen in a minimal but solid expression of what’s going on each combo or glitch, if you have a specific question or there’s something it’s unclear for you, feel free to ask me, i ussualy respond comments or pm’s, just be nice and kind, that’s more than enough for me to answer your question. While most of my videos were done through Manual Execution only (specially the Combo Reviews and Custom Combo vids) others were possible via Tool Assistance, Re-recording emulator features and Macro Scripts (See Keiko Combo Video Series). Tool Assistance or TAS for short give us almost total control of the game and it comes in handy to remove the limitiatons of manual execution and let the ideas be the center of attraction of our combos. This also open new doors to explore the game to it’s fullest and make meticulous methods of testing all kind of variables on a impractical combo,situation or glitch exploitation. I’m aiming to finally get an ASCII Programmable Pad for this year and also a new HD Video Capture Card, so if everything’s fine with me and my life gives me a break you can expect some PS2 Hyper Street Fighter Alpha content in the future. Website looks amazing so far. I love the screenshot examples for each of the glitch explanations, and the layout is very clean overall. I’m sure NKI will nod in approval once it’s complete. Very good informations and very well presented. Great work! Hola keiko,quiero entrar a keiko ganbare! y no puedp, como hago??? @Soh, thanks a lot, i’m really glad you like the new look the site =). @Larafan: El blog esta cerrado y ya nadie puede entrar a el, lo siento mucho. Ohh que lastima,me gustaban mucho los artbooks de los juegos,espero puedas hacer algo parecido,saludos desde cba-Arg. Lamentablemente perdí el interes en el rubro y me cansé de que cada cosa que posteaba al minuto apareciera un Copy Paste tal cual en Taringa sin siquiera citar la fuente ni agradecimientos. Ese blog consumia arduas horas de trabajo y ya la verdad no me da el tiempo ni las ganas de seguír con el. Thanks J! and yeah i hope more people give some love to the alpha series too. Hola, Keiko, la verdad es que hace mucho que intento entrar nuevamente a tu blog y recién ahora me vengo a enterar de que lo cerraste. Es una verdadera pena pero comprendo tus razones. Yo realmente apreciaba mucho tu trabajo y pensaba que tu blog era único. Espero que puedas considerar la idea de volver a abrirlo y ver que posibilidades hay de solucionar el problema ¿Tal vez una marca de agua en la última página de los artbooks? Me quedo a tu disposición para ayudarte en lo que se pueda. Dog Video Channel is one of the best web-based pages which offer you with a great collection of popular dog video (人気犬動画) that make you laugh hard and relieve you from stress.